AirPods will remain one of Apple's most popular accessories in 2018, with shipments likely to double to an estimated 26-28 million units on a year-over-year basis, according to Apple analyst Ming-Chi Kuo. Kuo said there has been strong demand for AirPods, which he views as the most important accessory in Apple's wireless ecosystem. His prediction implies AirPods shipments will total 13-14 million units in 2017. We believe demand for AirPods has been strong, and note that the shipping time of the product on Apple's official shopping website has shortened to 1-3 days, mainly thanks to an improved assembly process and increased capacity from Luxshare as the new assembler […] We expect AirPods to remain one of the most popular Apple accessories in 2018, with shipments likely to rise 100% YoY to 26-28mn units next year. Chinese company Luxshare could become the main assembler of AirPods in 2018, with a higher order allocation than fellow supplier Inventec, after improving its assembly process and increasing production capacity. Apple doesn't break out AirPods sales like it does with iPhones, iPads, and Macs. Instead, it groups the wireless earphones under its "Other Products" category, alongside Apple TV, Apple Watch, Beats, iPods, and other accessories. Apple reported revenue of $3.2 billion from its "Other Products" category last quarter, up 36 percent year over year. Last month, on an earnings call, Apple CEO Tim Cook said he was "thrilled with the momentum" of AirPods. He boasted that Apple's entire wearables business generated the annual revenue of a "Fortune 400" company in the 2017 fiscal year. The combination of music streaming on Apple Music and AirPods is truly a magical experience for people on the go. We're thrilled with the momentum of these products. In fact, our entire wearables business was up 75 percent year over year in the fourth quarter, and in fiscal 2017, already generated the annual revenue of a Fortune 400 company. 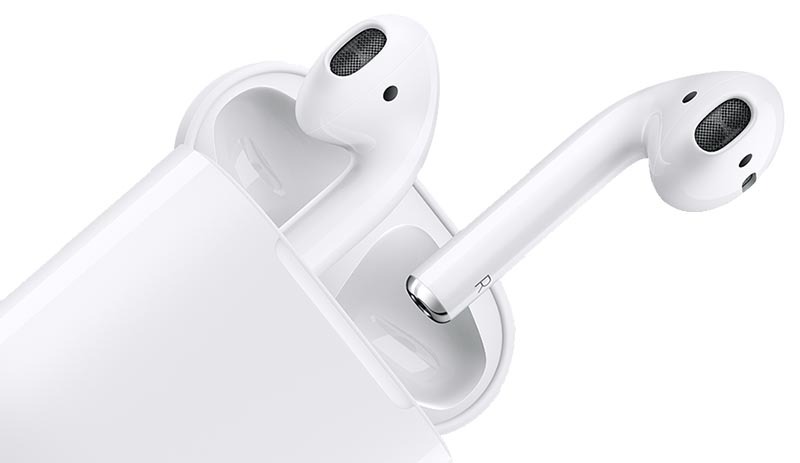 AirPods launched for $159 in December 2016 after a two month delay, but orders on Apple's website faced a six-week shipping estimate until August 2017 as Apple struggled to improve the supply-demand balance of the wireless earphones. AirPods shipping estimates have gradually improved since then, with orders now slated for delivery in under one week. We haven't heard many rumors about second-generation AirPods, but Apple will be releasing an inductive charging case for the wireless earphones designed to work with its AirPower charging mat, which itself will launch in early 2018. Best Apple product in years! Why does everything from Apple need to be classed as a "Magical Experience"
This is getting really embarrassing for adults. Fine if you are explaining things to a group of 6 - 8 year olds in school. Please stop with the Magical. They’d sell even more if they offered colour(s) other than white. Grey or black for a start. Waiting for the rumored wireless case. Hoping they'll come in black too. Love the AirPods, hate the color. Tried the stickers but they look like stickers. Who is everyone? All the pro reviews I came across said they were basically the most Apple-like product in the Tim Cook era. It's an Apple product, it wouldn't matter what the quality is like, they will sell. It's an Apple product, it wouldn't matter what the quality is like, people would complain. i use these and they are super comfortable and the quality of sound is exceptional. Love my AirPod's. Could never go back to wired ones. Been using them for almost a year, thy have never fallen off my ears. And even after excessive run. I'm astounded by how well AirPods have caught on. I have a hard time keeping EarPods in my ears. There's no way I'd buy AirPods, for fear of losing one (or both). I have never used a pair of EarPods, they would not stay in my ears, ever. But I have zero issues keepin AirPods in, even when running. It’s incredible.